With just over a week to go to election day, Darjeeling is abuzz with the Bharatiya Janata Party (BJP) election manifesto’s mention of a ‘permanent’ solution to the problems that have roiled the Darjeeling hills. “We are committed to work towards finding a permanent political solution to the issue of Darjeeling hills, Siliguri Terai and Dooars region,” the BJP said in its manifesto, triggering a flurry of reactions in political circles. The party also promises to ensure that 11 Gorkha communities get Scheduled Tribe (ST) status. The BJP candidate Raju Bista, who has replaced the sitting MP S. S. Ahluwalia, is using the manifesto as an election tool at every public rally and campaign meeting since April 8. Mr. Bista, an outsider from Manipur, is supported by the Bimal Gurung faction of the Gorkha Janamukti Morcha (GJM). Mr. Gurung, the GJM’s founder who wielded control over the hills from 2008 to 2017, remains absconding after spearheading a violent 104-day strike in the Darjeeling hills in 2017. 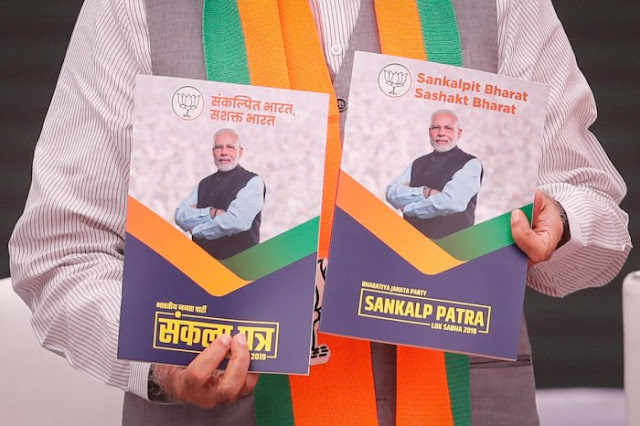 The BJP candidate is also supported by the Gorkha National Liberation Front (GNLF) and the Communist Party of Revolutionary Marxists (CPRM) — two hill parties that have lauded the BJP manifesto. Trinamool Congress (TMC), which has fielded a ‘bhumitra’ (son of the soil) Darjeeling MLA Amar Singh Rai, has maintained a tactical silence in the hills on the demand for Gorkhaland, an issue that the TMC is opposed to. Mr. Rai, is supported by the Benoy Tamang faction of the GJM. Mr. Tamang, once a close aide of Mr. Gurung, has taken over the party in the absence of its founder, with the support of the TMC government. Both Mr. Tamang and Mr. Rai said that there are priorities other than “Gorkhaland” in this election. “The BJP manifesto in 2009 and 2014 also had similar claims on resolving the Darjeeling issue,” Mr. Tamang said. “But it has done nothing. In fact, the BJP MP did not even turn up when the hills were on the boil. This manifesto is another lie by the BJP to fool the Gorkhas,” he asserted. Unlike on the earlier occasions, when the Gorkha community in Darjeeling, Kurseong and Kalimpong (three hill constituencies) would vote overwhelmingly for one particular candidate at the direction of a dominant hill party, this time the election appears to be anyone’s game. Apart from the three hill Assembly segments dominated by the Gorkha and other hill tribes, the Darjeeling Lok Sabha seat also includes four Assembly segments in the foothills and plains — Matigara-Naxalbari, Siliguri, Phansidewa and Chopra. Jan Andolan Party (JAP) founder and former GJM MLA Harka Bahadur Chettri, who is himself in the contest, said that the elections in the hills this time was to defeat a particular party rather than to elect someone. “The memory of the 104-day strike between July [and] September 2017 is fresh in the minds of the people. The dominant emotion is to take revenge on the TMC even though it might mean keeping the status quo of electing the candidate of the BJP again, who forgets promises made to the people during campaign,” Mr. Chettri said. The JAP leader said that he was trying to convince people to put aside their emotions while exercising their franchise. The shadow of that strike, the longest ever in the four-decades-long agitation in the hills, still hangs over the picturesque hills and scenic tea gardens. The GJM’s party headquarters at Singhmari, from where Bimal Gurung exerted his influence over the hills, has been taken over by the State government and now houses security personnel. Nearby is the house of Samir Gurung, one of the 13 persons who lost their lives during the agitation in 2017. His mother Mani Subba, left her job as a nurse in north India and has been staying in the hills ever since. “I have lost my only son and none of the political parties looked after us,” Ms. Subba said, her voice choking with bitter anguish. The TMC government and the Gorkhaland Territorial Administration (regional autonomous body led by Mr. Tamang) provided the family ₹2.5 lakh in compensation for Gurung’s death. While Ms. Subba and her elderly neighbours do not reveal which party they would vote for, they talk about Gorkha identity, their sufferings due to the lack of development in the region and the lack of jobs. And then they wistfully recall the late 1980s, when the demand for a separate State of Gorkhaland was first raised by the GNLF founder Subhas Ghising.